If we can coordinate a day activities it will become a story. that’s the reason films are increasing each year 😛 . 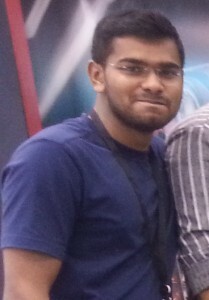 My Life activities I always update in twitter. today I did something in between (06:45 PM to 09:15 PM) that I cannot explain on twitter less than 160 character. 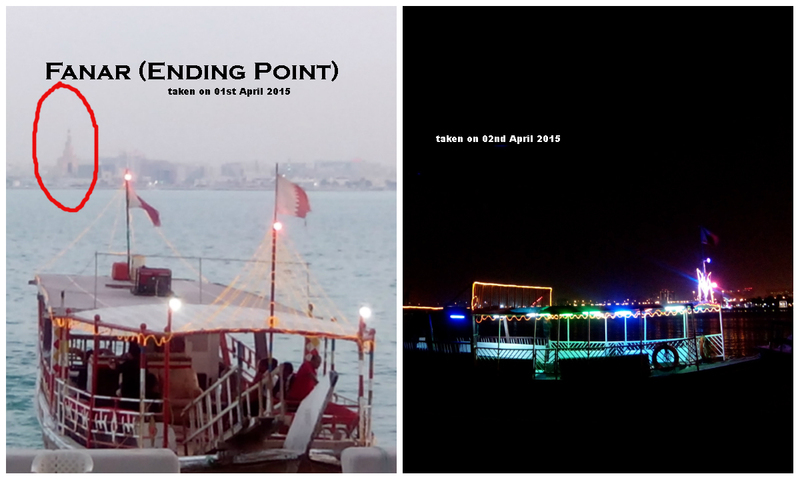 It been a month I wrote something on blog. So I decided to write here and share in twitter. this is just simple thing. consider as just for fun. last night (01-April-2015) was huge sandstorm in Qatar. not April fool prank 😀 its real. So our director declared leave for all our companies under his ownership. Morning I slept bit long and afternoon I did a WebProject. Evening I decided to go to Gym. I do go occassonaly just to be fit & healthy body. but When I almost reached, a guy said gym is closed. May be because of standstorm. any how I dressed up. 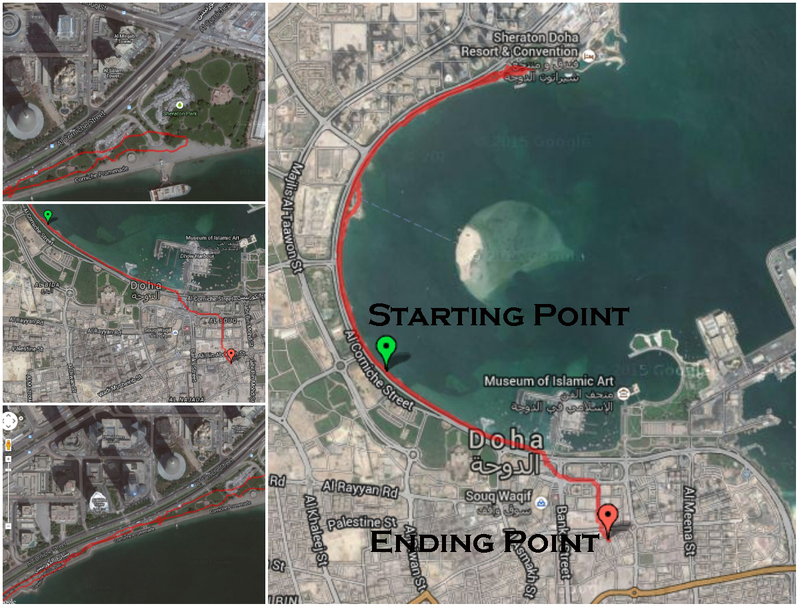 decided to run via Corniche Doha (1). Its a seashore. (I heard in Dubai also there is Corniche dont know about other middle east county). 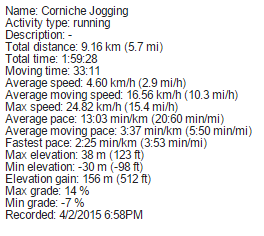 this blog covers mainly about today’s Jogging. incidents happened are things running through my mind. When I started Running from home after a 10 min, a guy stopped me . I thought he was gonna ask some route. but he given two glittering arabic letter Sticker (2) and said he was looking for a Job in Qatar, reached one month ago and he is a physician. he continued that he need help. I said I dont know any Physician vacancy but will pray for to get a good Job. then he again said any help. ahh he was asking for money 😀 . I said I didn’t take my wallet (why should I took wallet at the time of jogging). but I kept two 5 riyal & qatar ID in my back pocket to get something when feel tired. I dont like healthy people beg for money. I dont know whats his condition, he is a Job hunter . So I gave just 5 riyal and continue jogging. 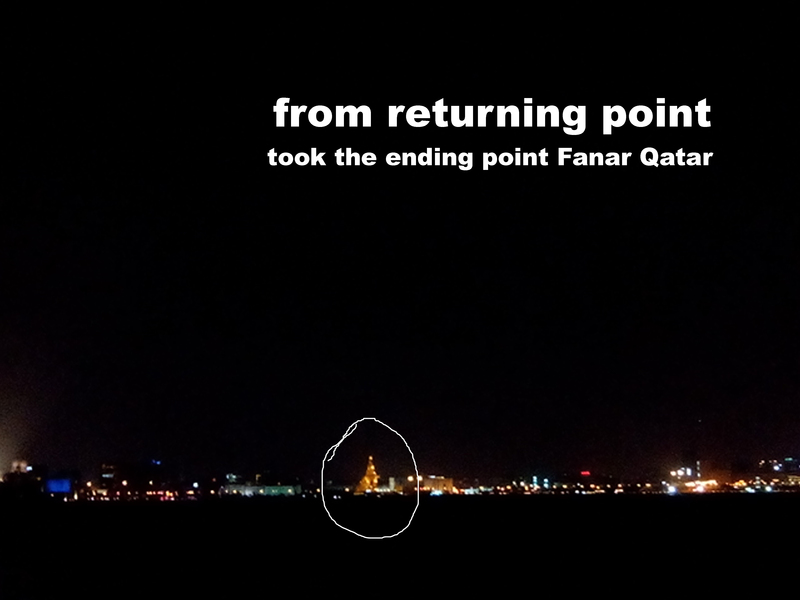 from my accommodation its around 5 min Run to Corniche seashore. It was windy. I felt bit struggle to Run because the wind hitting direct to my face. I was thinking about that wind. this same phenomena can make us cool and disaster. God is great and humans are small infront when we think about it. increase I wanna manage it perfectly. kind of a financial Planning. I will get more Web works and make the saving same as now. 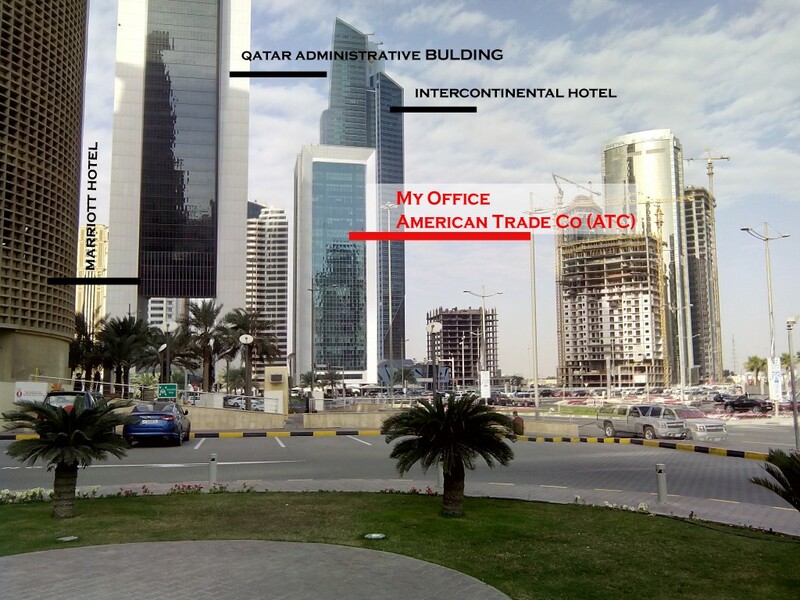 In Qatar, Corniche is the best location where all big firms are located. All Petroleum companies headquarters are there. 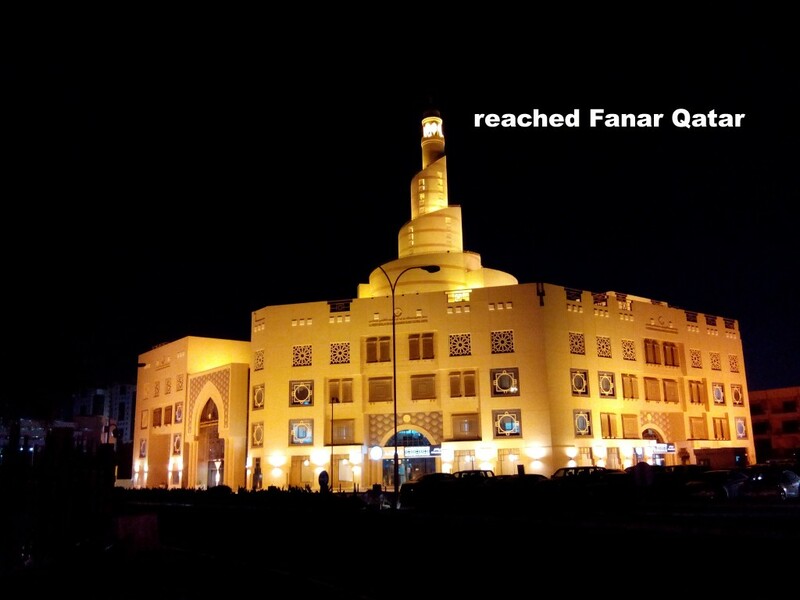 All Qatar Ministries, Qatar Parliament, Bank Headquarters, Big Hotels, Museums etc and many other. In night view its more and more beautiful because of the decoration lights. One of my friend said 15 year before this area was covered with sea. and they put sand and make like this. 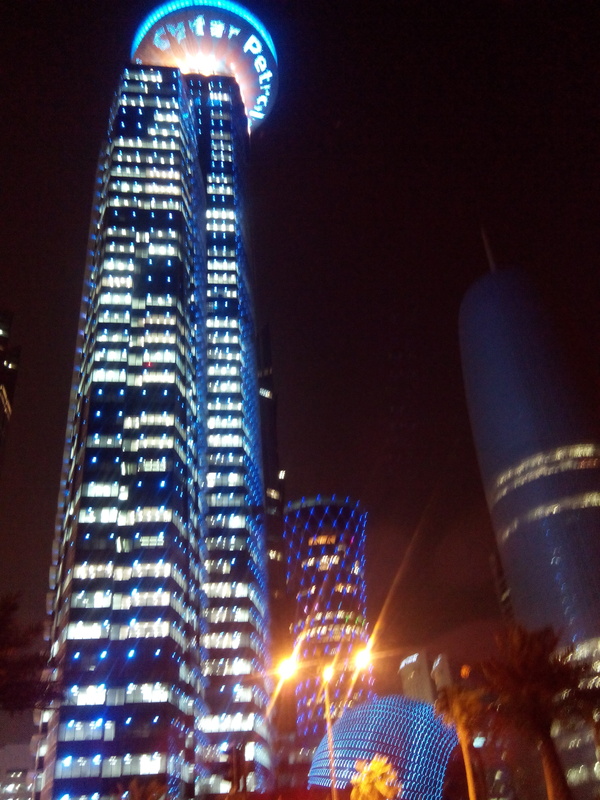 When I reached in front Qatar Petroleum tower (3) I remembered when I came here at Qatar for Job hunting in 2012. When I was waiting one person downside of a tower (4), I asked a security guy that, whether I could give my resume here. anyhow I could not give that time. but now In 2014 I am working in same tower. got Job through interview which this company saw my resume in a Job Portal. Surprising Isn’t it !!!. May be some day I work in above mentioned tower which I am dreaming when I look on it. but currently I am happy where i am working. My goal was to reach end of seashore. 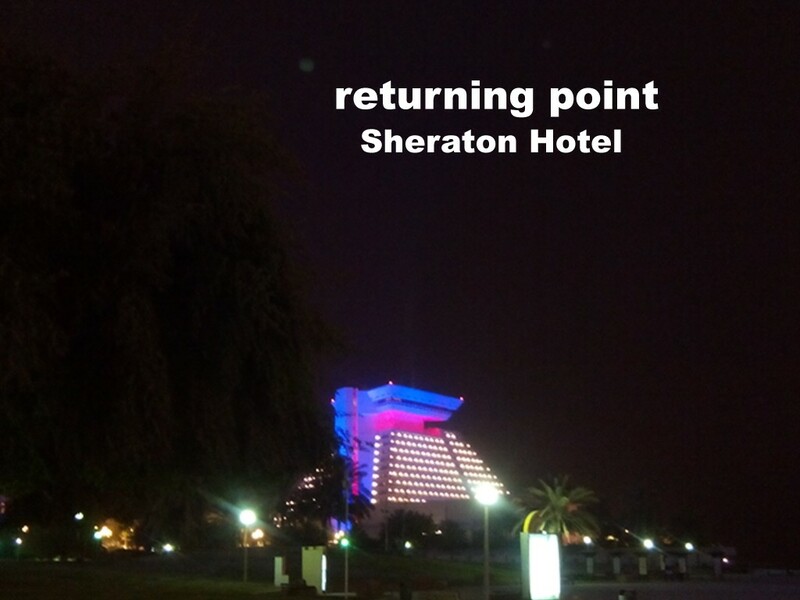 that point is sharaton hotel. I reached there in 40 min. I ran only around 20 min. then walking and run some time. I returned room also in same way. When I reached room I took around 02 hours 15 min. I have video from my accommodation the room taken last week . Will join all video and post it here may be next month.